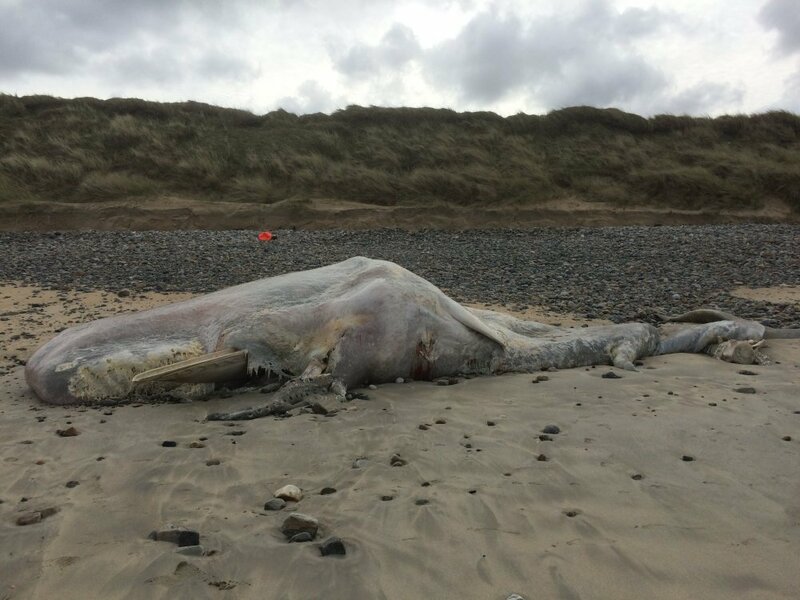 An unusual string of sperm whale strandings along the west coast has become a cause for concern according to the Irish Whale and Dolphin group. 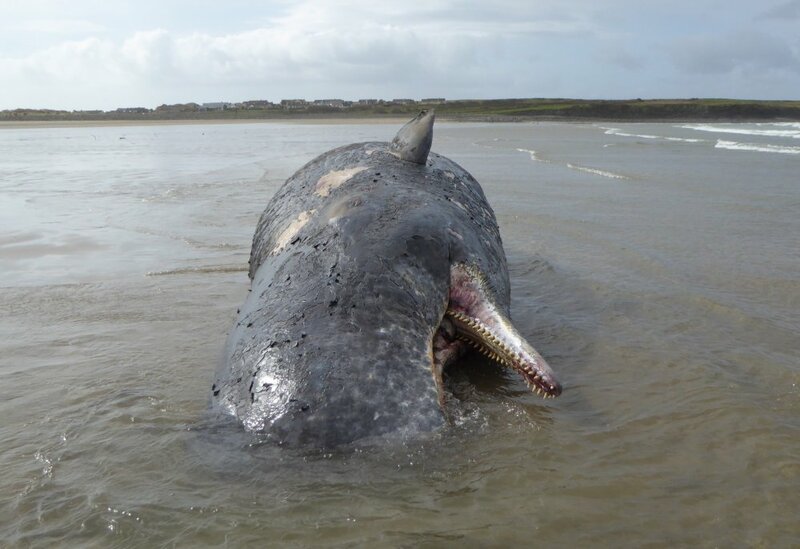 Within the space of a week, three dead sperm whales have washed ashore on the west coast at Donegal, Galway and Sligo. Last week, the first whale washed up at Magheroarty Co. Donegal. Days later, a second washed up on a Connemara beach near Mace Head, Co. Galway. 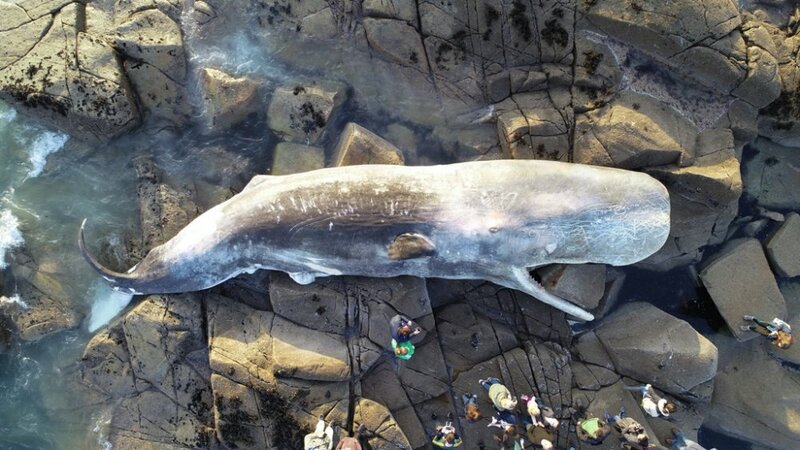 The whale is 12m long and beached on the rocks. The most recent stranding occurred yesterday on Streedagh Strand, Co Sligo. According to the IWDG, the images of the whale in Sligo look to be female which is unusual as male sperm whales are usually found off Irish coast.